Summer break is a great opportunity to spend quality time with the kiddos and have tons of fun as a family! 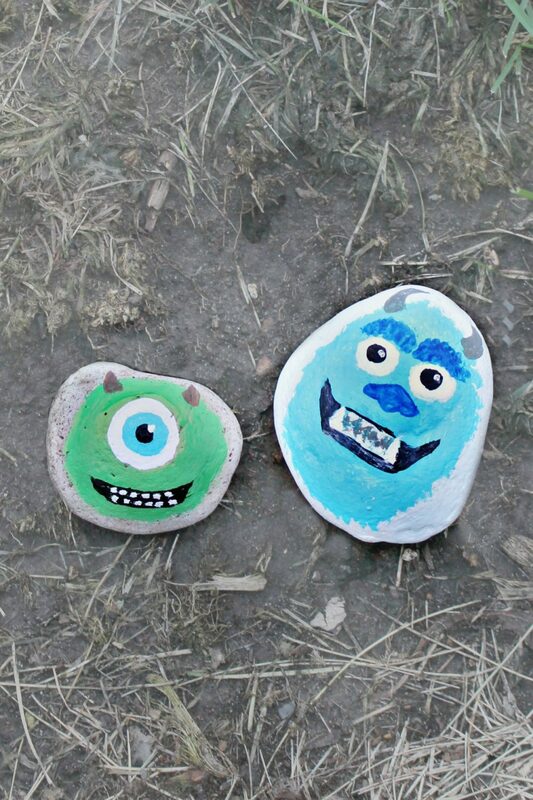 These monster painted rocks is an idea inspired by our favorite characters from Monsters Inc., Sully and Mike. These are obviously just a suggestion, you can paint any of the characters! You’ll be in for lots of fun, no matter your choice I promise you! 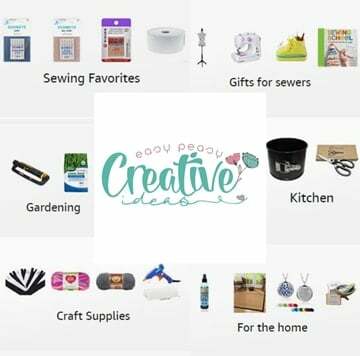 Looking for more kids activities? Check these out! Homemade microwave playdough – so easy and a fun project for kids! This version is very different from store bought play dough and is made with safer, healthier ingredients you probably have on hand already. Plastic bottle bird feeder – Make the birds happy when you create this adorable plastic bottle bird feeder! A great way to upcycle and have fun with the kiddos! Sun & feathers wall decor – This stunning sun & feather wall decor is insanely easy to make and will look great in your kids bedroom! DIY paper flowers – Help your kids develop their artistic and motor skills! Make these paper flowers for kids together for a fun family activity you’ll all enjoy! 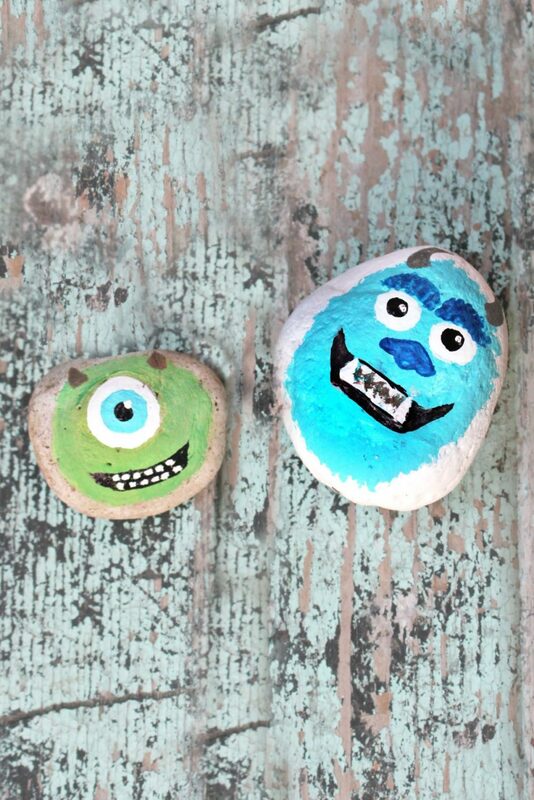 These cool painted rocks are super easy to make and using just a couple of supplies, one of them free making this monster painted rocks a super cheap project too! A great way to entertain the kids of all ages this summer! And by that I mean you too! 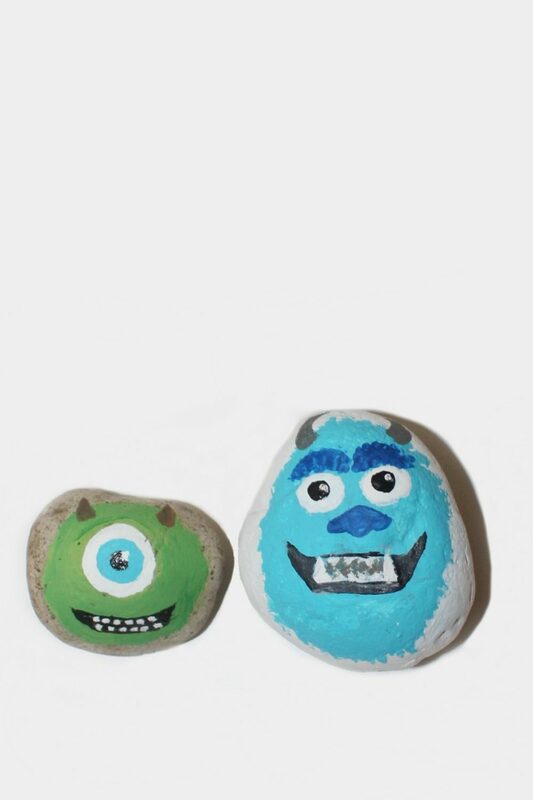 These cute painted rocks are so adorable and fun, your inner child will scream with joy! 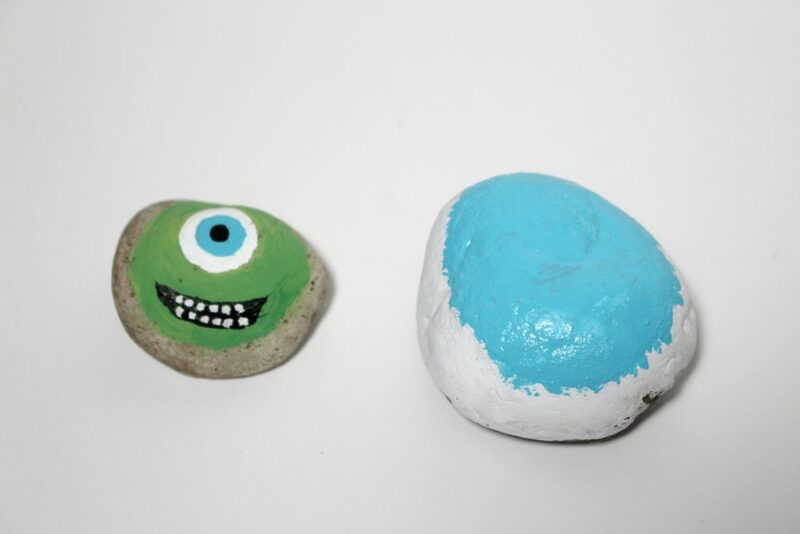 I’m not sure who started this trend of rock painting ideas for kids but I think it was the best idea ever. Kids will enjoy every bit of this wonderful activity which delivers hours of fun and peace of mind for you since it’s so safe and kid friendly! 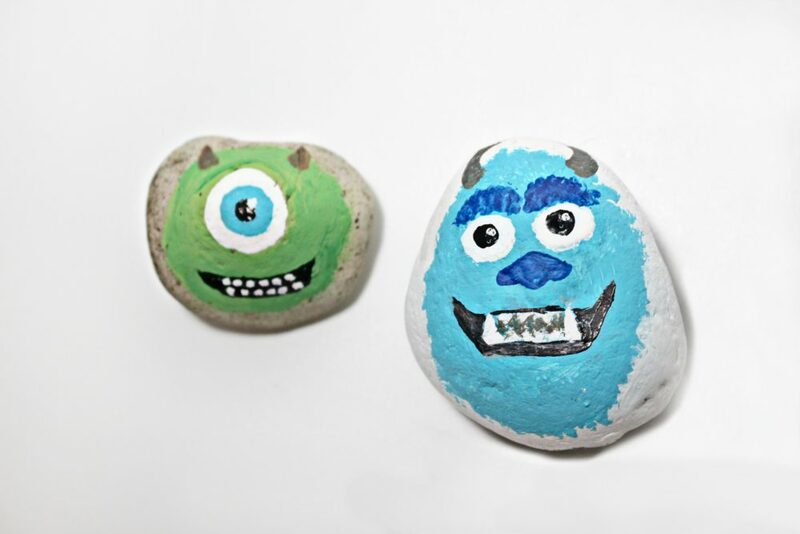 They won’t be able to stop at just one painted rocks, they’ll want to make dozens and dozens of these cute monster painted rocks! 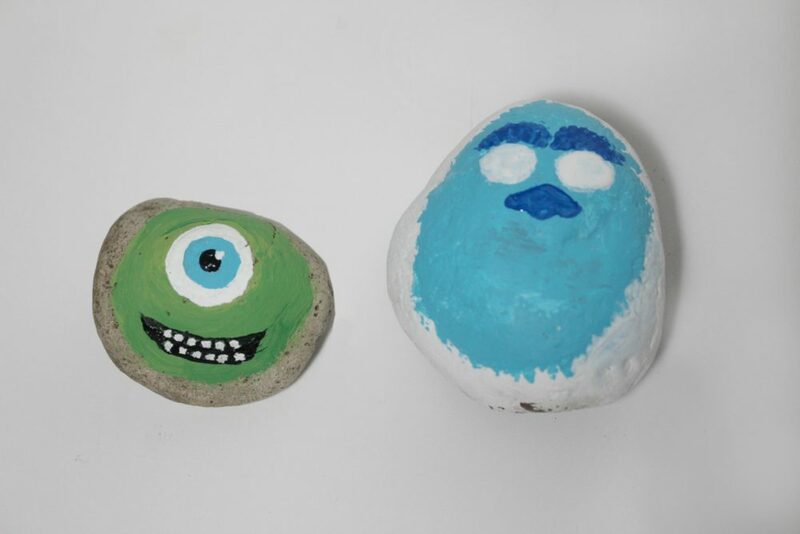 This painted rocks craft is not only a great kid activity but a lovely way to spruce up your garden this summer! Great way to add a fun touch to your garden! TIP: try to get one rock that is larger than the other. 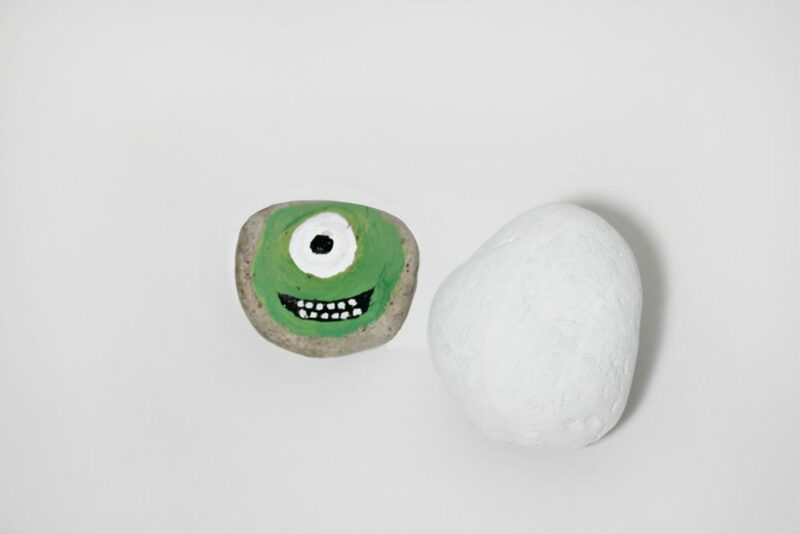 Try to have the smaller rock be more round than the larger one. Craft paint in the colors white, light green, black, light blue, dark blue, and grey. If you have dark rocks paint them white. 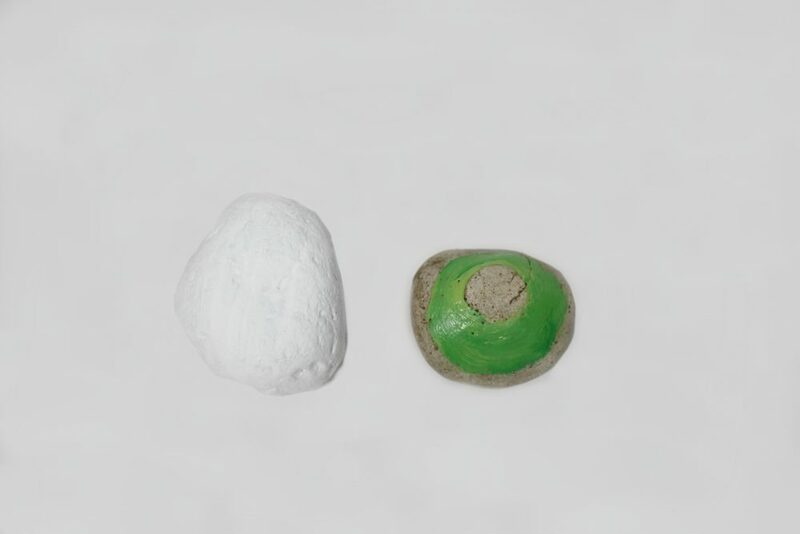 On the smaller, rounder rock paint a light green circle on the top. Use the white paint to make a smaller circle inside of the green one. Make a small black circle inside the white one still leaving room for adding a ring of blue later. Paint a black smile under the eye and once dry, add a row of teeth on the top and bottom. 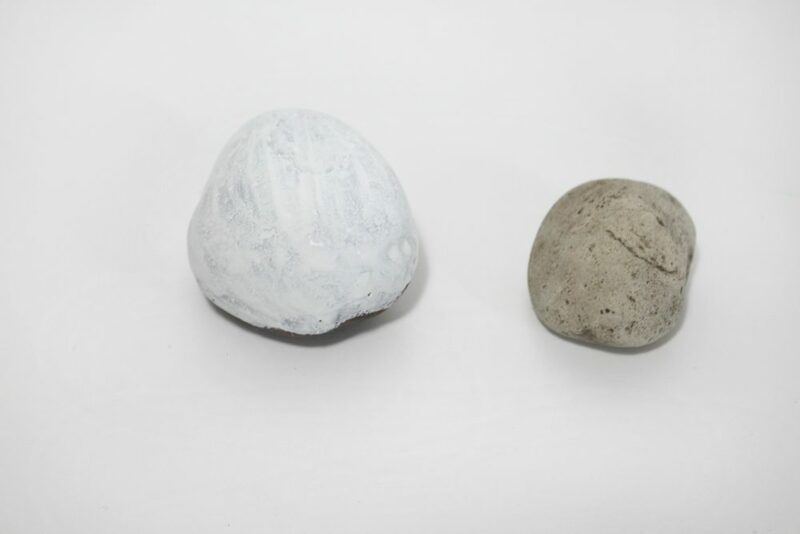 On the larger rock paint the top light blue on more of an oval shape. The edges can be a bit messy because they will need to look like hair. TIP: The top of Sully’s head should be smaller than the bottom because his face is shaped like a pear. While you have the blue paint out, make a blue circle around Mike’s black pupil in his eye. Take the white paint and make two small circles for eyes near the top of the blue oval. 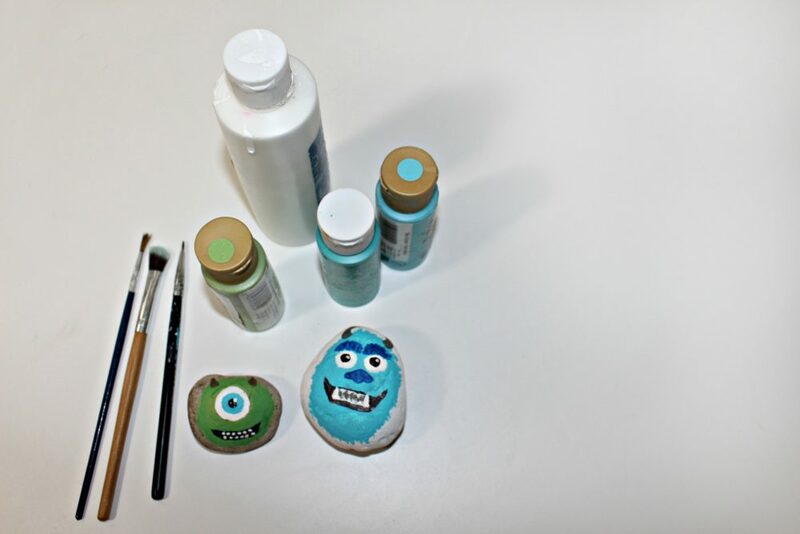 Use the white paint to also make a small white dot in Mikes eye at the top right area. Use the dark blue paint to make bushy eyebrows and a nose (see photo). Take the black paint and make Sully’ smile and pupils. Using the white, fill in his teeth and a dot on each pupil near the top right of his pupil. Add some grey in between Sully’s teeth and to make horns on both monster’s heads as shown in the photo. Once these are completely dry they are ready to be set out as decor in your home or garden.